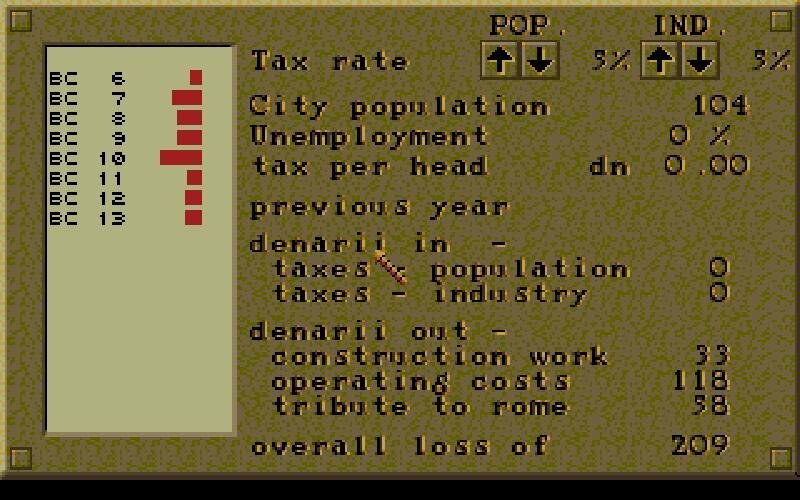 Caesar offers players a chance to become a respected leader in Ancient Rome, sharing more than a few similarities with another Maxis classic – SimCity. 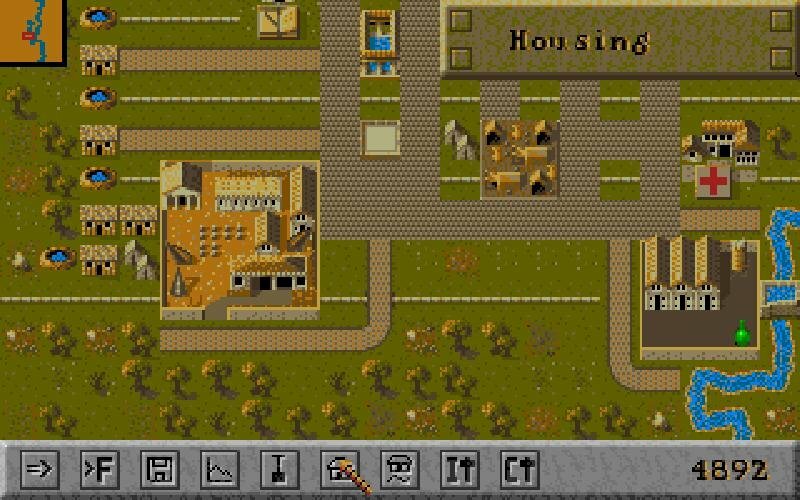 With some limited gold, the amount of which depends on the difficulty level, players must begin to establish a settlement. 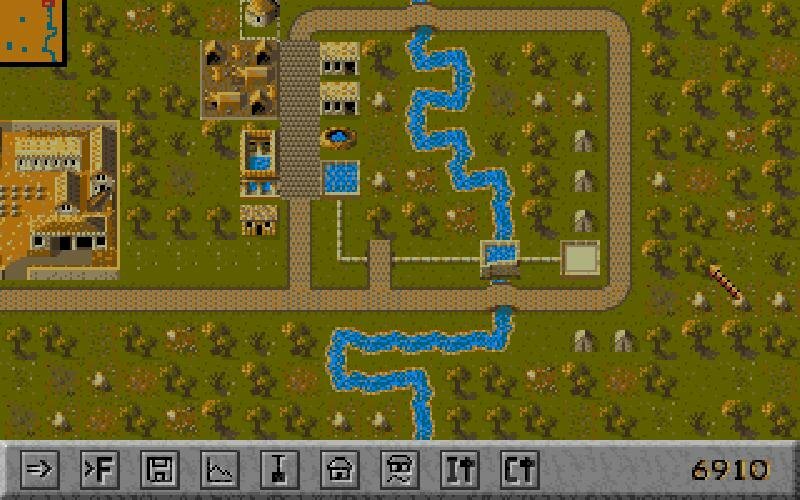 However, you also have to contend with matters such as inter-city trade, connections with the empire, and defense against invaders, all of which are handled outside the city walls. Players who successfully govern a province are rewarded with a more difficult area to supervise. Keep up the good job and you’ll eventually be able to become Emperor. 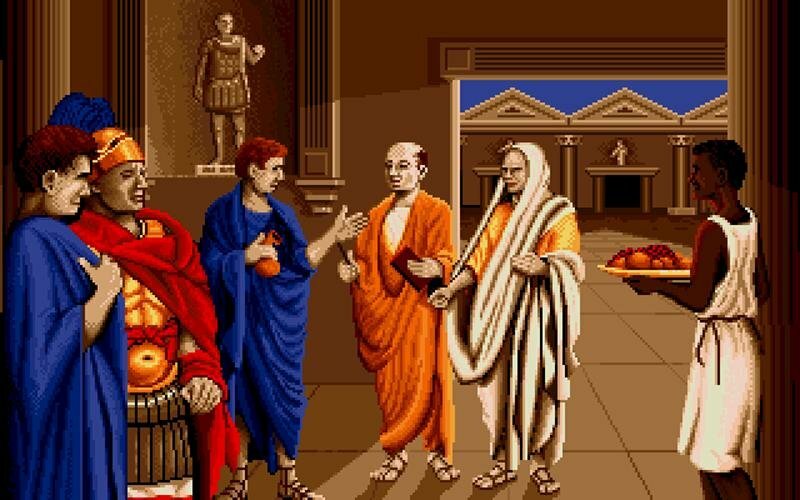 Taking place in real-time, Caesar uses an intuitive point and click interface. 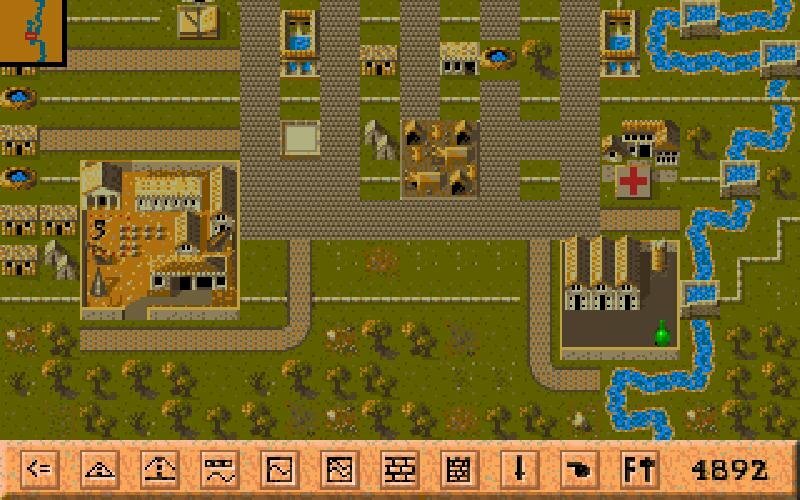 Construction is accomplished by selecting an icon representing a structure and then placing it – all standard SimCity-ish functions. There are many structures spread over 40 icons, all separated into four sub-menus. 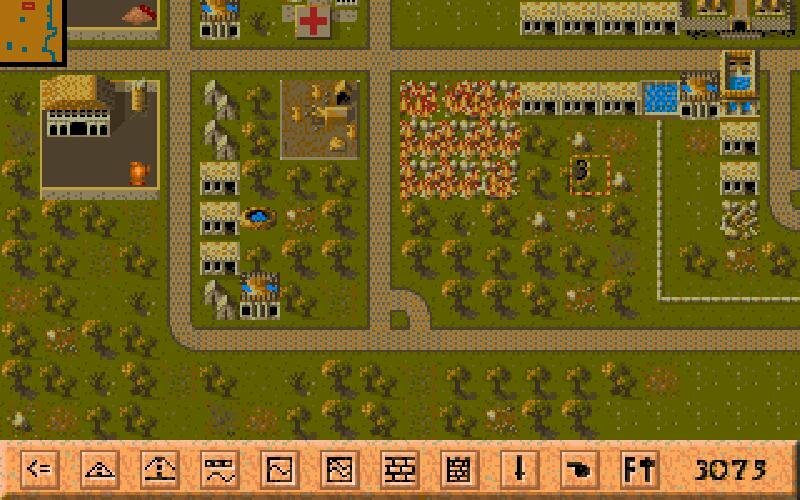 Unfortunately, players must often switch to another menu of icons in order to remove an unwanted object or building. 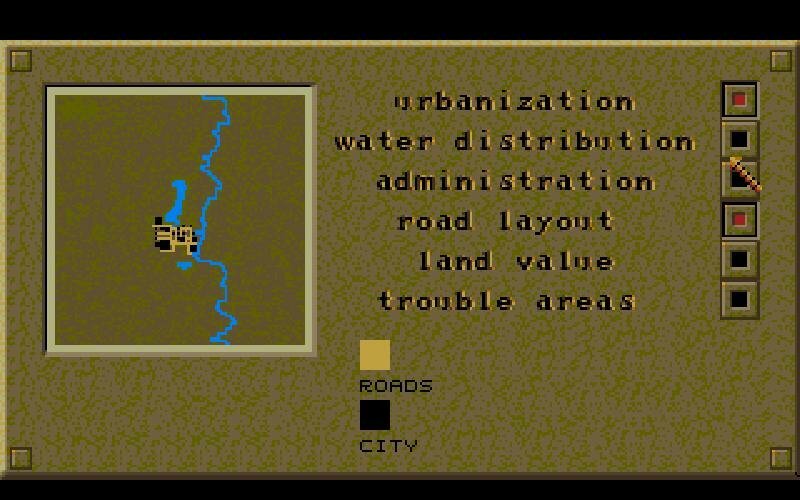 A bulldozer function, such as the one seen in SimCity, would have been more intuitive. 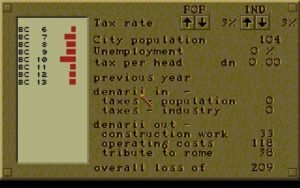 The goal in Caesar is not simply to flood the Romans with buildings and institutions. Quality housing and jobs are vital for success, and this calls for some careful planning. 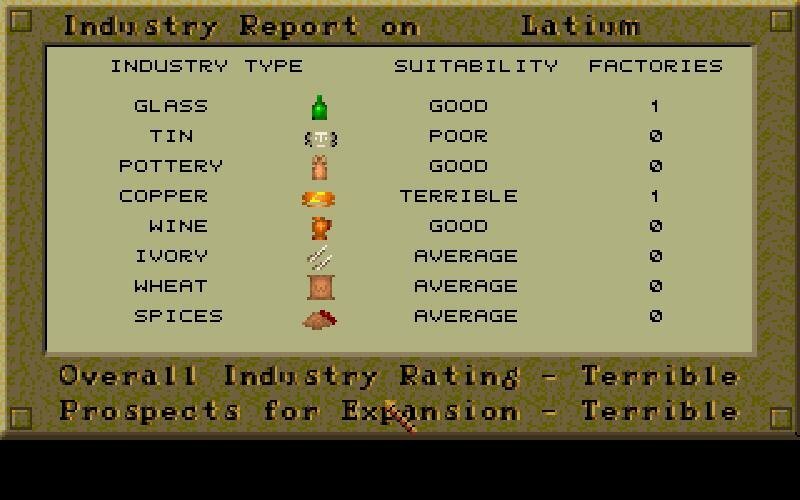 Eight different types of factories may be constructed, depending on the economic advisor’s research. These workshops require a nearby industrial center to supply raw materials, as well as a market to sell their products. All of these centers also require nearby housing for workers. Unfortunately, this nearby housing tends to become the city’s slums and will fail to enjoy the same increase in value as other housing. Angry factory workers are also more prone to revolts if things go sour. 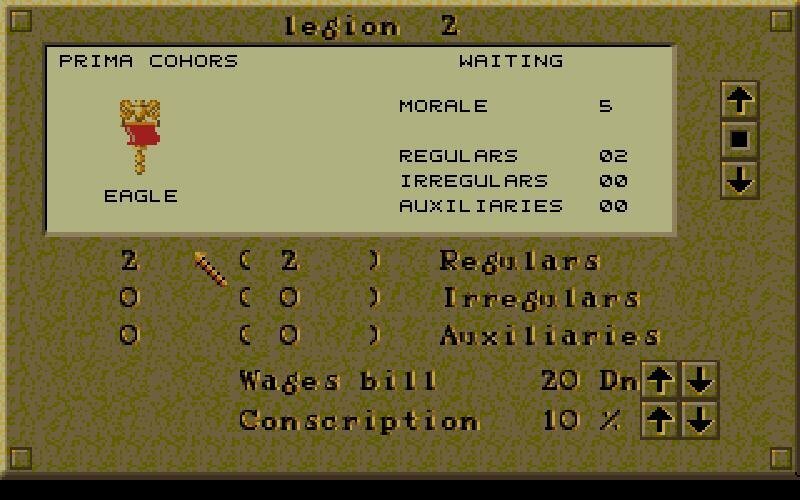 Adding to the game’s complexity are the plebeians, or ‘plebs’ for short. Not considered citizens of the empire, these unfortunates have been drafted into public service and must therefore be given proper care. The plebs are responsible for such mundane jobs as maintenance, construction, soldiering and fire fighting – essentially the social or emergency workers of their day. 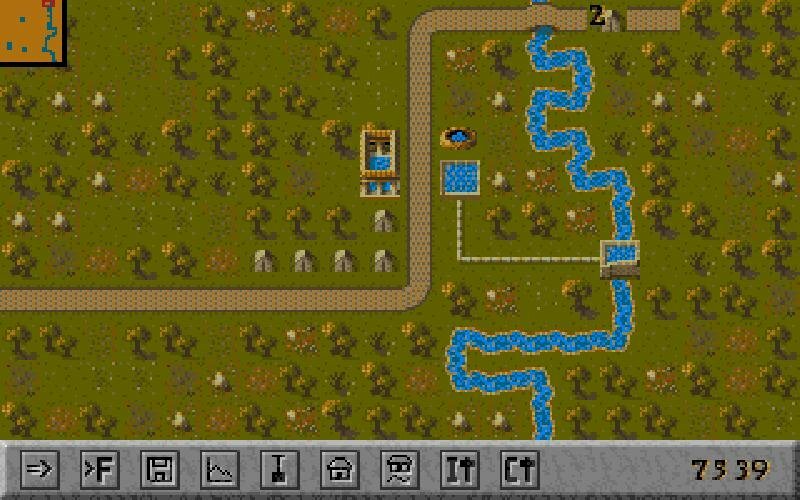 Also unlike SimCity, Caesar requires you maintain a well oiled army in case the barbarians decide to smash down the gates. So in short, Caesar is a complex piece of software that goes above and beyond the unavoidable comparisons with its muse. 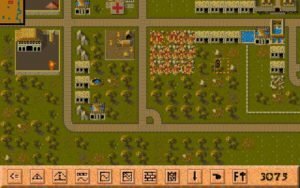 It definitely borrows more than a few ideas from SimCity, which isn’t surprising considering that game worked so well, but also introduces a few exotic ideas that give the game new life.